Happy Friday! By the time you read this I will have traveled far beyond the reaches of the internet and into the country side. The family and I are taking a much needed break from our electronic devices and heading down to Texas Hill Country for some fun camping adventures. Ah, the great outdoors! Hopefully my children will last three whole days without their cell phones and I will last the same three days before they loose their minds. 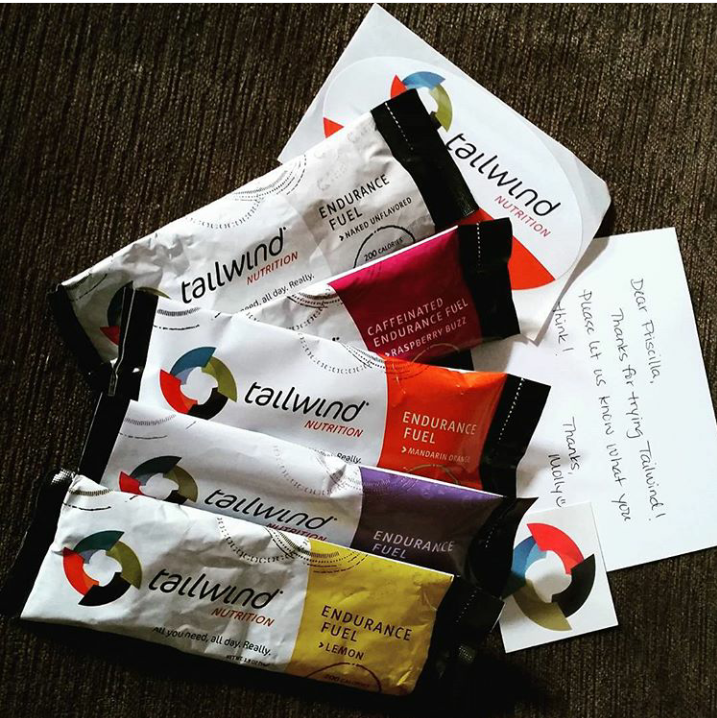 Today I’m coming at you with a product review for Tailwind Nutrition. A fellow cycling friend of mine suggested I try Tailwind about a month ago while we were out on a 30 mile ride. I had already stopped a few times by that point to eat and drink, but he was going strong. You know me! I’m always looking for new products to fuel my training that are also easy on the gut. As always, I’m always going to analyze the nutrition, it’s just what I do. I can’t help it! Please note that this is NOT a sponsored post. I purchased Tailwind after a referral and just wanted to share my experiences with all of you. So what is Tailwind? Simply put, it’s fuel! …But it’s not JUST fuel. This product mixes with water to meet your calorie, hydration, and electrolyte needs. Tailwind is 100%, natural with no artificial anything. Looking at their nutrition label I’d agree with that! 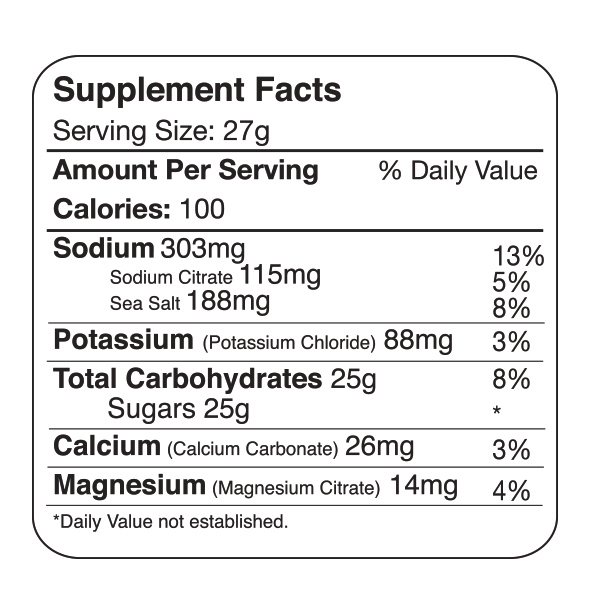 Tailwind contains: Dextrose (glucose), sucrose, citric acid, sodium citrate, sea salt, organic flavors, potassium chloride, magnesium citrate, and calcium carbonate. Which means its Gluten free, vegan, and contains no soy or dairy. What I like most, and what I look for in ANY endurance fuel, are the carbs! As we all know, carbs are an endurance athletes best friend. In any endurance fuel you always want to be sure you are getting a mixture of carbs. Meaning, you want to look at the label and see more than one kind of sugar (things that end is “-ose” glucose, fructose, sucrose, etc). This is going to ensure enhanced energy distribution and also fluid absorption in the body. I always look for a mixture with a 6-8% carb solution. Of course this is relevant to the amount of time you (or I) will be exercising. For me, training sessions for HIM have lasted anywhere from 1-3 hours so these goals are sufficient. If you were riding or running (or whatever) longer than 3 hours you would want your nutrition to be at a higher ratio. Now on to functional testing! I gave myself about a month to thoroughly test this product out on long rides and runs. So far, it’s done very well! Their website claims “It’s all you’ll need, all day. Really.” While I was able to fill only two bottles and sustain energy levels even on my 40 mile rides, I still mixed this product with my Glukos gummies and bars on a lot of my training rides. Not necessarily because I needed the extra energy, but because I wanted to mix up textures and flavors. 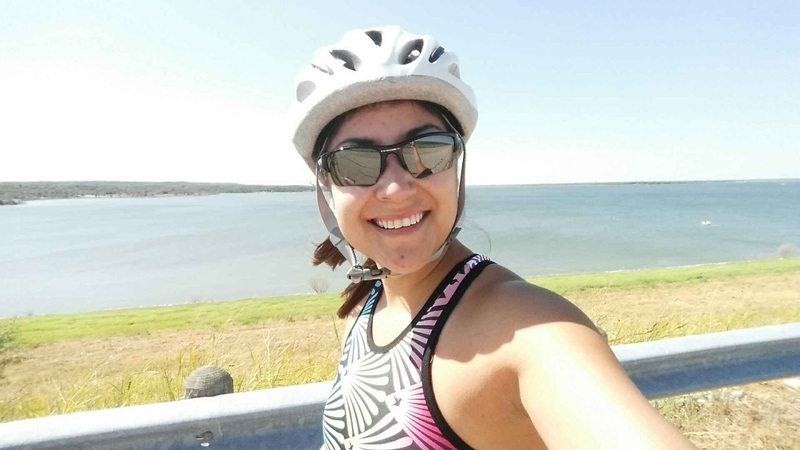 I did have a 30 mile ride fueled solely by Tailwind and I never bonked or felt shaky or dizzy. I just prefer to mix things up. Hey, when you’ve had your mouth open heavily breathing for 60+ minutes a nice chewy Glukos gummy tastes like heaven. Can I get an Amen?! As for the final and most important test, GI issues, There were NONE. In fact, my last 40 mile ride I doubled my solution. Meaning, I mixed more Tailwind into same amount of water than I usually do for higher concentration. There was not a single issue in tummy town. I got through that ride with energy to spare, which is a rarity for me. Even when I’ve had longer brick workouts I haven’t noticed GI issues even after the transition from bike to run. Over all I’m giving this product two thumbs way up! I’m on my second batch of sample sticks and will be ordering a big bag of the Raspberry Buzz as soon as those are gone. I just love any product that has caffeine in it! I hope you all are having a fun filled Friday and making big training plans for the weekend!